Tick. 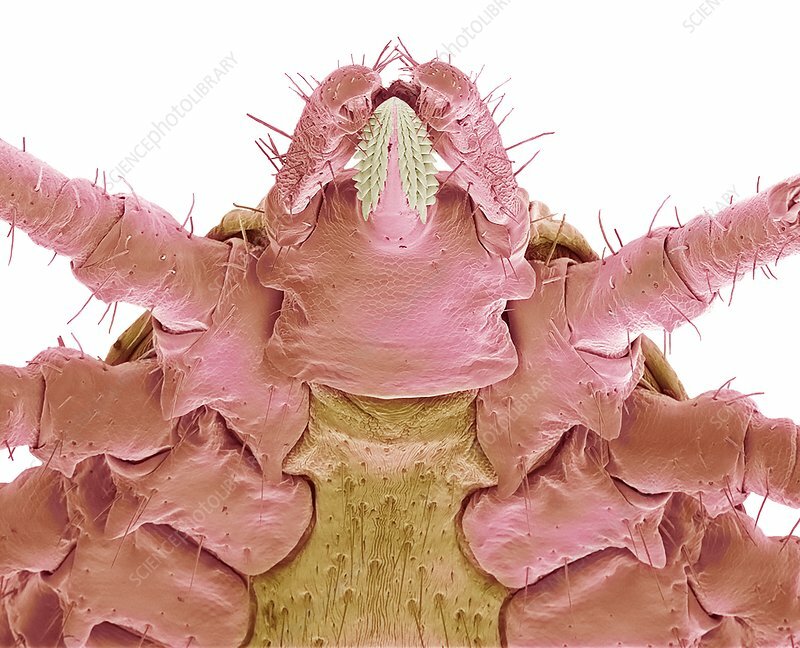 Coloured scanning electron micrograph (SEM). This is the ventral surface (the underside). Ticks (superfamily: Ixodoidea) are small arachnids. They are ectoparasites, feeding on the blood of mammals, birds, and occasionally reptiles and amphibians. Ticks transmit several diseases, including Lyme disease, Colorado tick fever, relapsing fever, and a form of meningoencephalitis, along with other diseases. The mouthparts are at the top with six of the eight legs attached to the thorax at centre. Magnification: x100 when printed at 10 centimetres across.